Proper expression, folding, transport, and clearance of proteins is critical for cell function. Chaperones and enzymes that posttranslationally assist newly synthesized proteins help ensure that they fold correctly or are degraded. Translocation machineries, proteasomes, and autophagic activities help to localize and degrade proteins as necessary. Stress and aging can cause such mechanisms to become dysfunctional or overloaded, resulting in the accumulation and aggregation of misfolded proteins a feature of numerous neurodegenerative conditions. 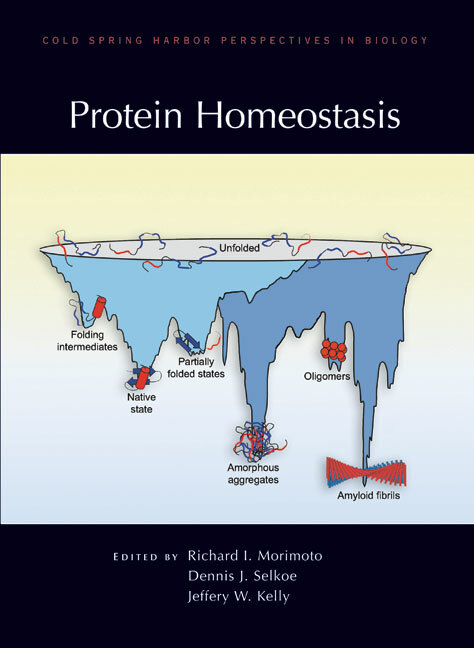 Written and edited by experts in the field, this collection from Cold Spring Harbor Perspectives in Biology covers the entire spectrum of protein homeostasis in healthy cells and the diseases that result when control of protein production, protein folding, and protein degradation goes awry. The contributors examine the physical biochemistry of protein folding and the roles of the various cellular compartments in protein quality control, as well as approaches for ameliorating protein misfolding and aggregation diseases. Including discussions of specific disorders such as Alzheimer's disease, Huntington's disease, and prion diseases, this book is an essential reference for not only molecular and cellular biologists but also medical scientists wishing to understand the pathological consequences of and potential therapies for protein homeostasis deficiencies in common human diseases.